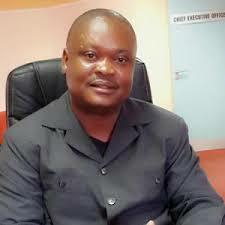 Pictured: Okahao Town Council Chief Executive Officer Timoteus Namwandi. OWNERS of both small and large businesses operating at Okahao in the Omusati region are up in arms against the town council, accusing it of using the registration of companies as “a money-making venture”. A group of four local business personalities approached Informanté recently to express their dissatisfaction with what they described as monetary exploitation by the town council. According to a council registration form seen by Informanté, businesses have to pay a once-off registration fee ranging from N$100 to N$750 depending on the nature of the business. “We have already registered our businesses with the relevant ministry and we already pay municipal rates and taxes. Why are we being requested to register them again with the Town Council upon payment of a set amount? We see this as the Council’s innovative way of making money. Besides, they introduced it without consulting us,” said one the business people who spoke on condition of anonymity allegedly due to a “toxic atmosphere” where anyone speaking out could easily be ostracised. Service station owner Andreas Anguuwo confirmed that a process of registration of companies is indeed underway at Okahao. “Yes, the council is charging fees for the registration of all the companies operating in Okahao, but there was no proper consultation with the business community,” he said. However, council officials gave a totally different version. “The registration of companies is not something new. The only difference is that in the past, the registration was done by the health inspector who issued fitness certificates and simultaneously registered the companies. The functions are now separated. The health inspector continues to deal with fitness certificates, while the local economic development officer deals with the registration of companies,” said Okahao Chief Executive Officer (CEO) Timoteus Namwandi. He rejected the notion according to which the council introduced something new without consulting the community. “Those who are complaining are most likely those who do not attend consultation meetings,” he said.